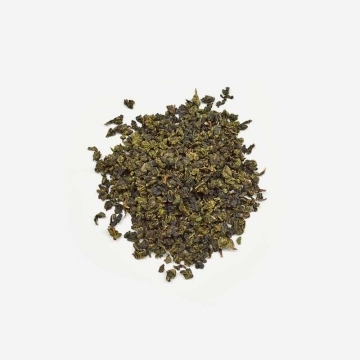 This is a semi–oxidised tea, which is known for its rich character and pleasant lasting aftertaste. 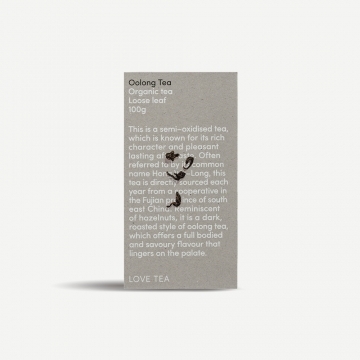 Often referred to by its common name Hong Wu–Long, this tea is directly sourced each year from a cooperative in the Fujian province of south east China. 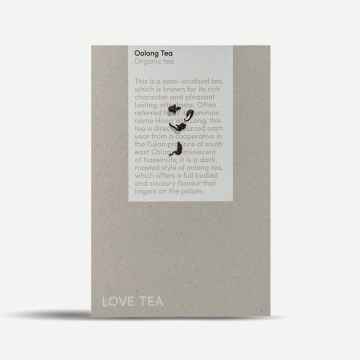 Reminiscent of hazelnuts, it is a dark, roasted style of oolong tea, which offers a full bodied and savoury flavour that lingers on the palate.